Mackenzie “Mac” Day must choose between a career in music therapy and finding out a secret about herself she’s wanted to know all her life. She discovered music when she was five and, ever since, it has helped her cope with the inundation of voices in her head. She doesn’t have Sensory Processing Disorder like she was diagnosed with at such a young age, but the power to read minds, or at least to be overwhelmed by everyone else’s thoughts. That is, until she meets members from the Unseen, a secret organization full of people just like her who can read minds. 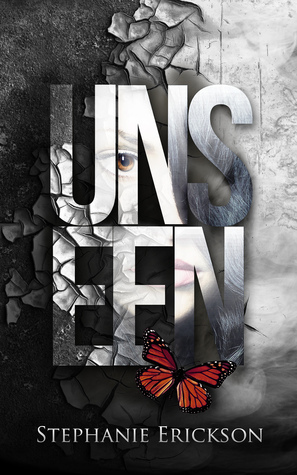 Will she choose to be a therapist, continuing her own dependence on coping mechanisms she learned as a child or break free from the curse she has known all her life if she chooses to join the Unseen? “How can I choose between something I’ve been reaching for my whole life and something so unlikely I never even dared to hope for it?” (Page 69). Mac was a main character I could get behind. She’s confident and somewhat confrontational and can stand up for herself. She’s logical and to the point, but is also creative and intelligent. I really liked her. Maddie was also a character I took an instant liking to. She was funny and quirky in her own way. The interactions between Mac and Maddie were super fun. Their banter was humorous and cleverly written, with a sense of reality that kept my attention throughout the dialogue. I was a little disappointed at the predictability until the end when the author introduce one whammy right after the other. What a climax! As this is a fantasy novel, of COURSE the main character was special, but I got bogged down in this predictability. She is special. She is more special than the other special people. However, even within this predictability I thought the context of mind reading was interesting and well written. To note as well, the thoughts of the men in the beginning were exaggerated as if they were a female’s take on what a man would be thinking, but who knows, I’m not a guy, maybe a guy’s thoughts really are like she describes. I also noticed there were quite a number of characters that were blonde haired and blue eyed. Coincidence? This novel was published by Pickles Press November 19th, 2014 and is available on Amazon here.